While the Sensex gained 118 points or 0.34% to 35,260, the Nifty rose 0.38% or 40 points to 10,616 level. 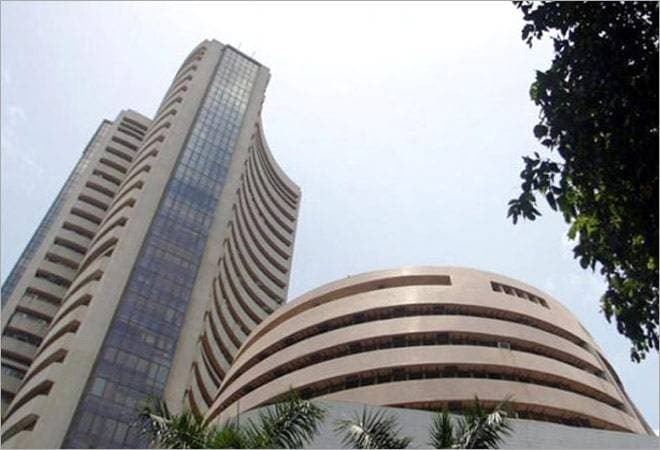 The Sensex and Nifty closed higher on Thursday on positive investor sentiment amid easing crude oil prices, firm rupee and fresh foreign fund inflows. While the Sensex gained 118 points or 0.34% to 35,260, the Nifty rose 0.38% or 40 points to 10,616 level. The Sensex had shed 2.50 points on Wednesday in a highly volatile session. Adani Ports (4.19%), Kotak Bank (2.93%), and Hero MotoCorp (2.20 %) were the top Sensex gainers. YES Bank (7.42%), NTPC (2.16%) and ONGC (1.15%) were the top Sensex losers. The rupee closed 33 paise higher at 71.98 compared to the previous close of 72.31 against the dollar in forex market. VK Sharma, Head PCG & Capital Markets Group at HDFC Securities said, "Rupee extends gain for a third consecutive day, on sliding crude oil prices, which has eased concerns of further widening in the nation's current-account deficit. Rupee extended gains by 33 paise against dollar, to close at 71.98. The dollar index, which measures the greenback against a basket of six major currencies, traded at 96.84, off a 16-month high hit on Monday. The greenback pared losses as euro and pound fell after UK Brexit Secretary Dominic Raab resigned on disagreement over Brexit terms. Pound was the major G-10 loser against the dollar post that news announcement." On the market movement, Sharma said, "Indian markets shrugged off negative cues and closed with flourish. Prospects of stronger currency, lower interest rates coupled with short covering helped reality stocks to outperform the markets. Banking and Finance sector stocks were in limelight as we expected. Bank nifty has broken out above its 200 day moving average and managed to make a higher top. Foreigners recognise the improving prospects of Indian bonds and have lapped up $1.3 billion worth of bonds in last nine sessions." Market breadth was negative with 1,099 stocks closing higher compared to 1497 ending lower on the BSE. BSE mid cap rose 0.74% to 14,992 level. However small cap index remained unchanged at 14,548. BSE consumer durables (1.60%), bankex (0.79%), and capital goods (0.66%) incides led the gains in trade today. The appreciation in rupee, firming trend in other Asian markets and a higher opening of European equities too influenced market mood. Traders said falling crude prices in the global market was a big boost for the economy as it lightens the country's import bill burden, eases inflation and current account deficit concerns. Global crude oil prices have fallen by near 30 per cent to $65 per barrel from over $86 in early October. Brent crude, the international benchmark fell 0.47 per cent to $65.81 per barrel on fears of higher supply. Investor sentiment also got a boost after foreign investors pumped fresh funds into the domestic market, brokers said. Foreign institutional investors (FIIs) have turned positive for the Indian market this month infusing Rs 4153 crore compared to a record outflow of Rs 38,906 crore in October. On Wednesday too, FIIs bought shares worth Rs 277.38 crore, provisional data showed. However, profit-booking at higher levels by speculators at the fag-end of the session trimmed some of the day's gains, they said. Global stock markets rebounded on Thursday after Britain's Cabinet endorsed a plan to leave the European Union but the pound sagged after discord emerged with the resignation of the Brexit minister. In early trading, London's FTSE 100 gained 0.5 percent to 7,071.60 and German's DAX advanced 0.5 percent to 11,473.84. France's CAC 40 rose 0.5 percent to 5,094.94. On Wednesday, the CAC 40 lost 0.7 percent, the DAX dropped 0.5 percent and the FTSE 100 shed 0.3 percent. On Wall Street, futures for the Standard & Poor's 500 index and Dow Jones Industrial Average were up 0.5 percent. The Shanghai Composite Index rose 1.4 percent to 2,668.17 and Hong Kong's Hang Seng added 1.7 percent to 26,103.34. Tokyo's Nikkei 225 shed 0.2 percent to 21,803.62 and Seoul's Kospi advanced 1 percent to 2,088.06. Sydney's S&P-ASX 200 added 3 points to 5,736.00. India's Sensex rose 0.6 percent to 35,339.44. Bangkok and New Zealand retreated while Taiwan and other Southeast Asian markets rose.